Invest in classics from the regions you already know you enjoy -- i.e. 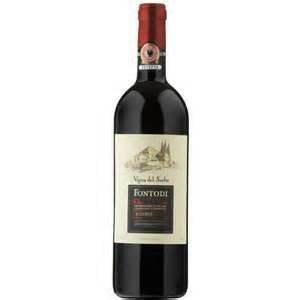 if you love Chianti, try an age-worthy wine such like Fontodi's Vigna del Sorbo, or another great Sangiovese-based wine from Brunello del Montalcino. In order to build a cellar that will grow as an investment, stay on top of the labels garnering attention from critics and magazines and/or doing well at auctions. Look to reputable sources for deals on both new and older vintage wines. Pay attention to up-and-coming winemakers; hold onto those wines and watch your investment grow. 3. Create a strong collection. Buy at least three bottles of the same wine at a time, in different vintages when possible. Get a wine fridge! This will give you control over the environment you keep your wine in. Otherwise, store your wine in cool pockets of rooms in your house (55 degrees F.) where there is little light. Keep bottles on their side, not upright, to prevent cork spoilage. Every wine ages differently. Pay attention to apps on your phone like Delectable to see how others are doing with vintages you own. If you don't plan on selling the wines, invest in a Coravin device, which allows you to taste the wines in your cellar without actually opening the bottle.